15 Anniversary: Spotlight on Alex Delange | Pivot Point Family Growth Center Inc.
Our 15 year anniversary wouldn’t be possible without our hardworking, dedicated team of staff that keep this place running. Today we’d like to spotlight one of our longest-serving employees and most experienced team members, Alex Delange! Currently celebrating her 9 year anniversary with us, Alex has played a large role in our journey. 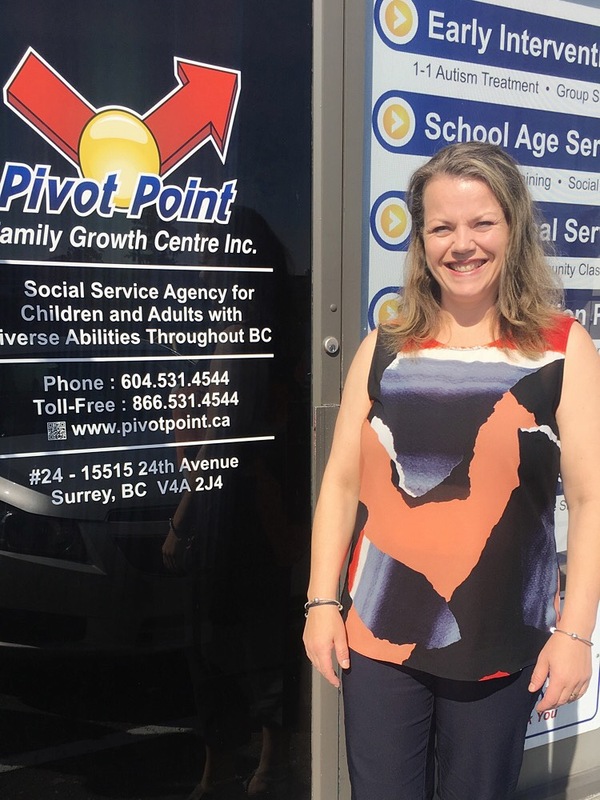 With a background of over 25 years of experience working directly with children with special needs, we are so grateful Alex chose to be a part of the Pivot Point family. Alex is a Board Certified Behaviour Analyst, Clinical Supervisor and Staff Trainer. She assists new Behaviour Consultants in supporting their client families, obtains feedback from clients on how programs are running, and is currently revamping our frontline training modules. She plays a huge role in ensuring our services run smoothly, our staff are supported, and our client satisfaction is high. According to Alex, our biggest strength as an organization is our ability to adapt and tailor programs to our clients needs. Alex truly embodies our guiding principles here at Pivot Point and we couldn’t be more grateful to have her on our team. “Always with a smile on her face, Alex makes others feel welcome and at ease. She has a gift when it comes to teaching others, whether it is about ABA and supporting clients, or professionalism and respect. Many families have commented how thankful they are to have Alex on their team. I am certainly thankful as well,” comments Amber Foster, South Fraser Regional Manager. To learn more about what the rest of the South Fraser team is up to, check out the South Fraser Regional Page or contact head office to set up a consultation. 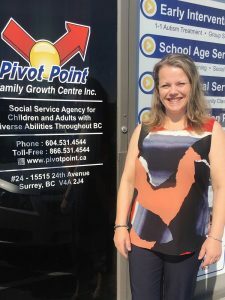 Pivot Point Family Growth Centre Inc. Copyright (c) 2019 Pivot Point Family Growth Center Inc. All Rights Reserved.